In the pantropical family of brightly colored forest birds called Trogonidae is an order called Trogoniformes. with hardwoods; they occur farther south in thorn scrub and tropical broadleaf forests. Violaceous Trogon.prefer mountain slopes covered with pine woodlands and coniferous forests but are found throughout Belize. the Maya mountains in Guatemala. My observation was that its head back and tail bend forward to form a crescent posture, projecting only blue green and violet that matched the foliage color and curves. This plus their motionlessness camouflage even this colorful bird. 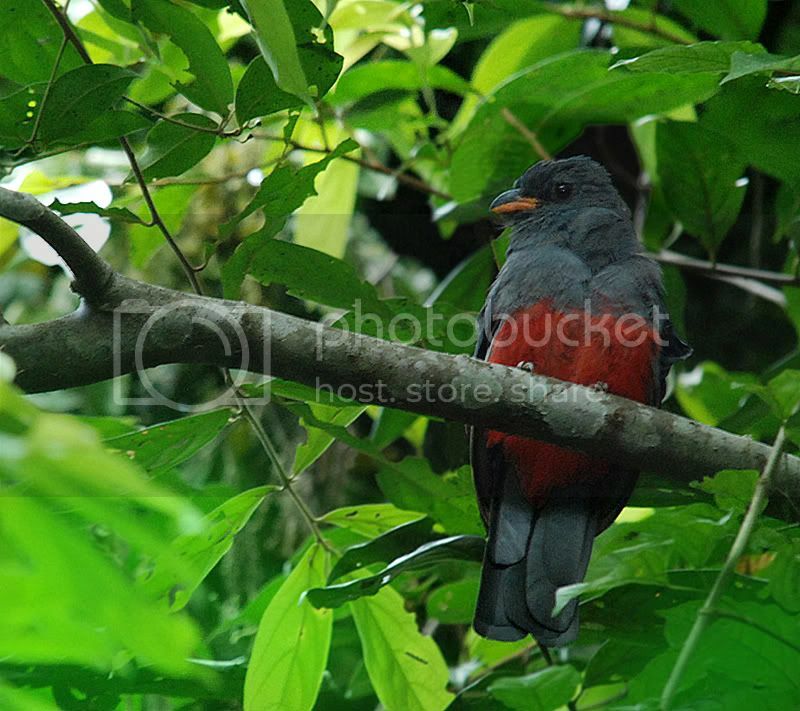 The black-headed Trogon found countrywide also lives in Ambergris’s mangrove and littoral forests. turned backward. I asked Bubba to explain why we include what kind of feet birds have in our articles. joints do – birds’ joints are just in unexpected places. that the bird is equipped with the correct feet for what it does the most.Most birds have toes arranged in an anisodactyl manner, with three toes pointing forward and one toe pointing to the rear. The hind toe, called a hallux, is the structural equivalent of the big toe on a human foot. Other birds, such as owls, cuckoos, woodpeckers, and parrots, have a zygodactyls arrangement, with two toes forward and two toes back. These work very well when standing on a vertical surface. in those birds it is the outer most toe that points backward, in the Trogon the inner toe has rotated back. tracts of wilderness needed not only by Trogons but other endemics. Fertile ground for a bright future. Your right . I caught myself calling it Latin several times , I guess it should be called 'the scientific name'. and not boring ,good info for me.